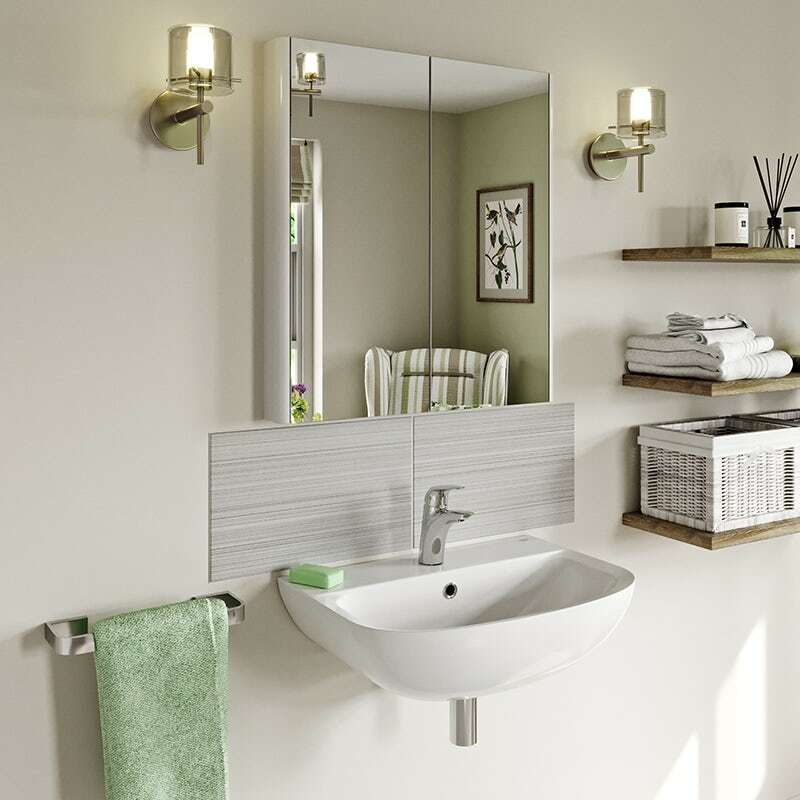 Trying to strike a balance between functionality and style is key to any bathroom design, but even more so when buying a bathroom for an elderly relative who is living independently. 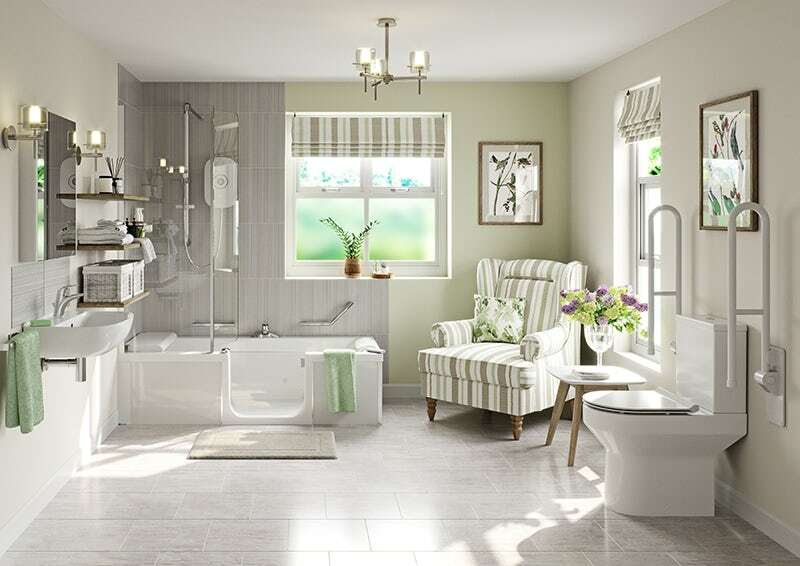 In this blog post, we'll show you all those things you'll need to consider when designing a bathroom for an elderly person. Whether it's a parent, uncle, aunt or grandparent, you want to ensure they are safe whilst enjoying all the style and comfort that a modern bathroom can bring. 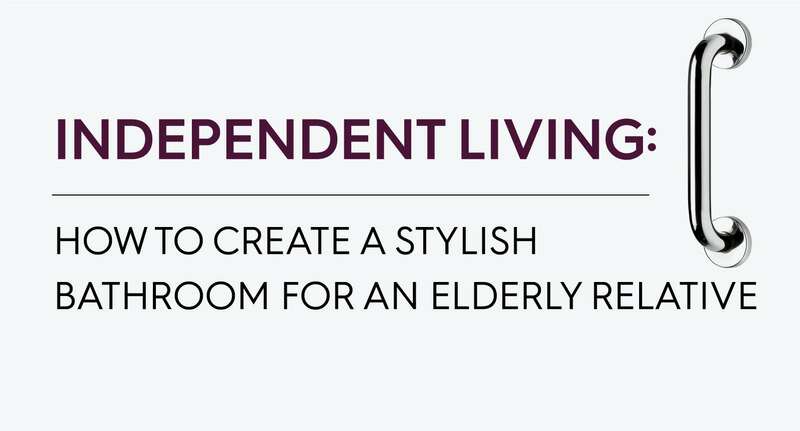 First off, it’s good to understand what we mean by the term “Independent Living”. Just because a person may have restricted mobility or some form of disability, doesn’t mean they shouldn’t be able to have their very own inspirational bathroom. Independent Living is a term we use to describe a home life which may require certain adaptations to assist with mobility and those everyday tasks and actions which many of us take for granted. Independent Living products such as grab rails and fold down seats can offer reassurance and support where it’s needed most, especially when it comes to bathrooms. Find out more about the concept of Independent Living and discover the differences between Independent and Assisted Living in our insightful blog posts. 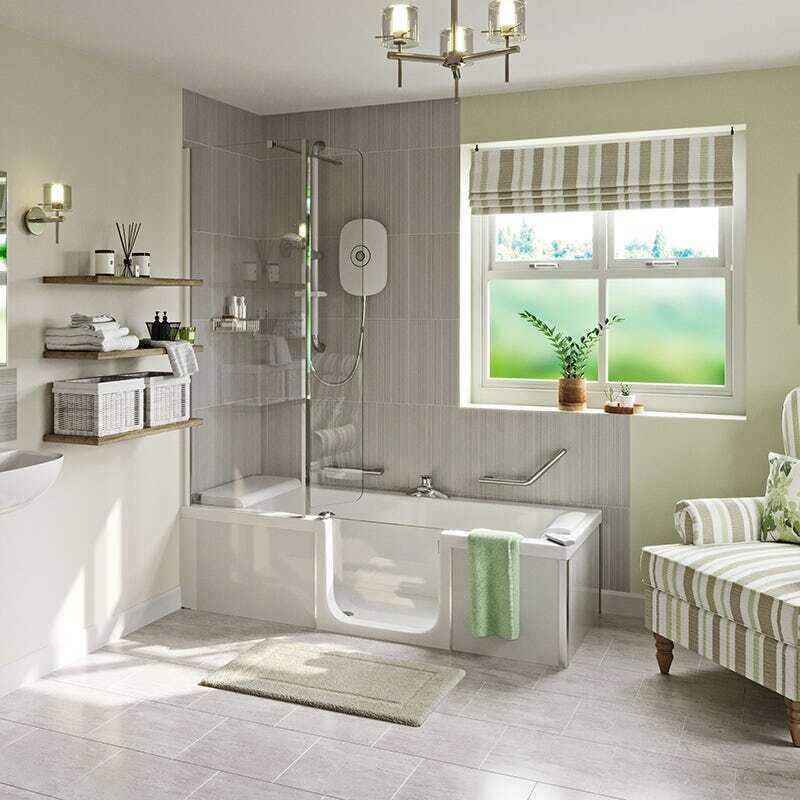 To show how a bathroom may be created for an elderly relative, we’ve put together a case study, following an average couple buying for a parent. This is Karen and James, a couple in their mid-fifties. Karen’s mother, Barbara, has lived on her own since her husband died 4 years ago and likes to maintain her independence. This is Barbara. She is 80 and lives in a moderately-sized detached house. Her mobility is restricted, simply due to age. Barbara enjoys both baths and showers but currently has to climb into a shower bath which she is finding increasingly difficult. 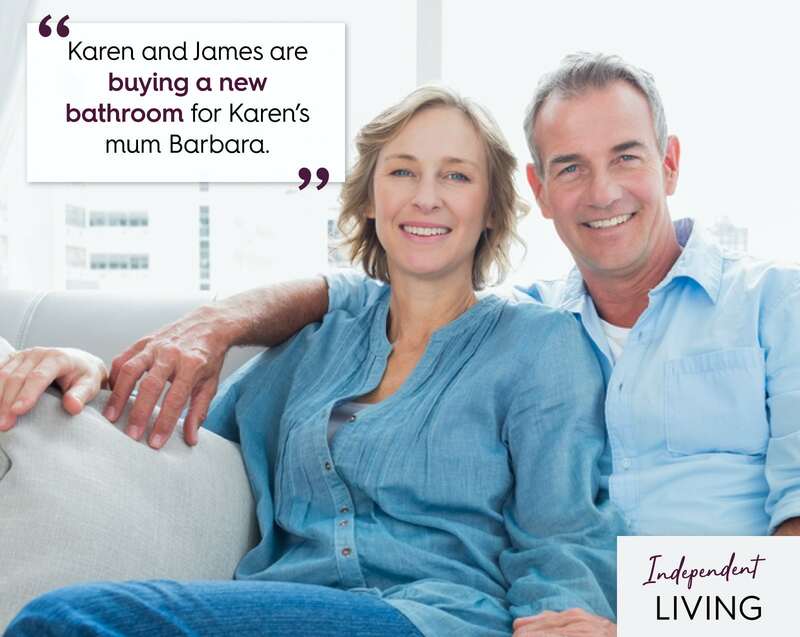 However, Karen and James are concerned that, as Barbara gets older, she could have a fall or begin to neglect her hygiene routine. Karen and James want to help transform Barbara’s bathroom into one that has a walk in shower or, even better, a walk in bath. They still want it to look modern and stylish, but safety is their key concern. The overall look combines traditional touches like the nice plush chair, matching blinds and the glass vase with fresh flowers, with contemporary style products, such as the toilet, wall hung basin and shower. The colour scheme is simple yet fresh, with the on-trend green wall adding a touch of vibrancy along with matching towels and accessories. Probably the last thing you’ll have noticed are the safety features which have been seamlessly integrated into the whole design. However, before you start adding these, you’ll want to consider how they fit with your décor. The most prominent feature of this Independent Living bathroom is the walk in shower bath. Made by Kinedo, the UK’s leading experts in this type of product, the bath will allow Barbara to carry on enjoying her baths and showers, with the crucial addition of easy, walk in access via a door made from toughened safety glass on the side. The AKW iCare electric shower has been designed with large and easy-to-use controls, which is ideal for Barbara who also has restricted hand mobility. With a riser rail that doubles as a grab bar, anti-scald safety features built in, plus the ability to monitor use via an app, Karen and James can keep an eye out for her. As well as a comfy neck pillow, the bath also comes with a shower seat, so Barbara can take the weight off her feet if needed. It’s comfortable and dries quickly for repeated use. A plush chair has been added for those moments before or after the washing routine when Barbara simply needs a sit-down. A stool or flip down seat could be substituted in smaller bathrooms. Look carefully and you will notice there are actually 4 grab rails situated around the bathroom. The two fold down rails beside the toilet will give Barbara some added assistance, plus they can be neatly stowed away when not in use. The 2 grab rails next to the bath will also give added reassurance when she lowers herself into the bath or needs to get out. 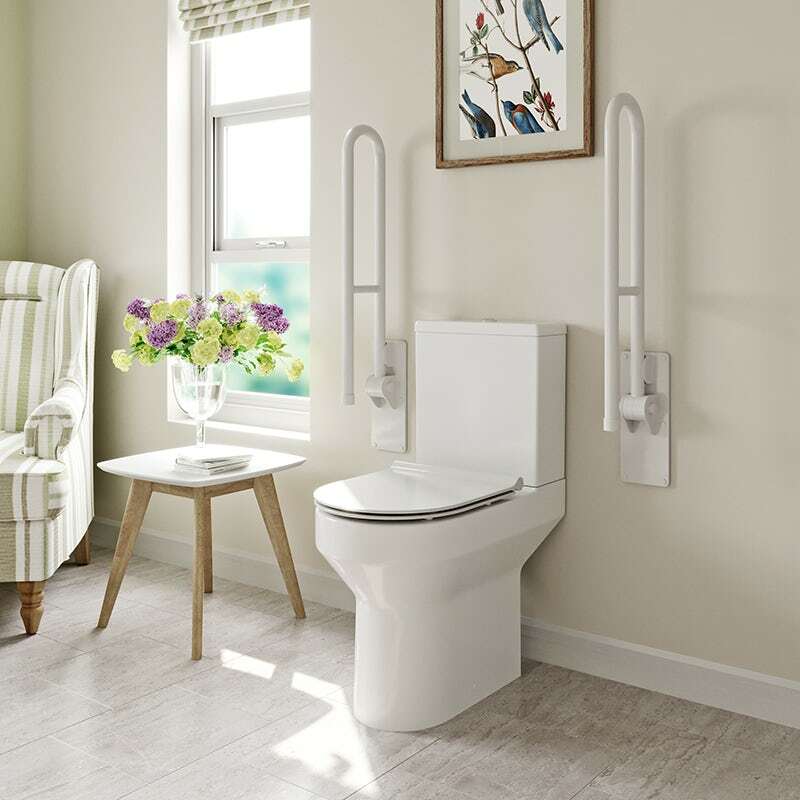 At 496mm, the seat of the Orchard Wharfe comfort height close coupled toilet is a touch higher than most conventional toilets, which are normally somewhere between 430mm to 460mm. This will help Barbara as she won’t have to bend as much to sit down or get up. Of course, bathroom floors tend to get wet, which is why we’ve opted for tiles with a good anti-slip rating. 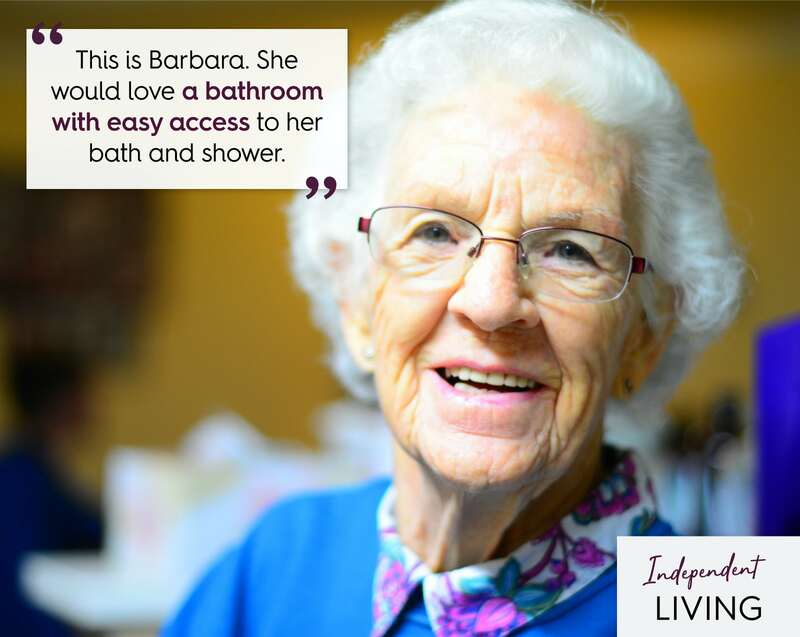 Maintaining her independence is important to Barbara. Cleaning her bathroom is a chore but as a house-proud lady, it is a vital part of her weekly routine. Therefore, this bathroom has been designed with easy cleaning in mind. The wall hung basin keeps the floor space free with no awkward recesses. Check out our range of Independent Living bathroom products and create the perfect bathroom for your elderly relative. If you are elderly or suffer from reduced mobility, you may have come across the terms "Independent Living" and "Assisted Living", but what do they actually mean and how will this affect the type of bathroom you have?